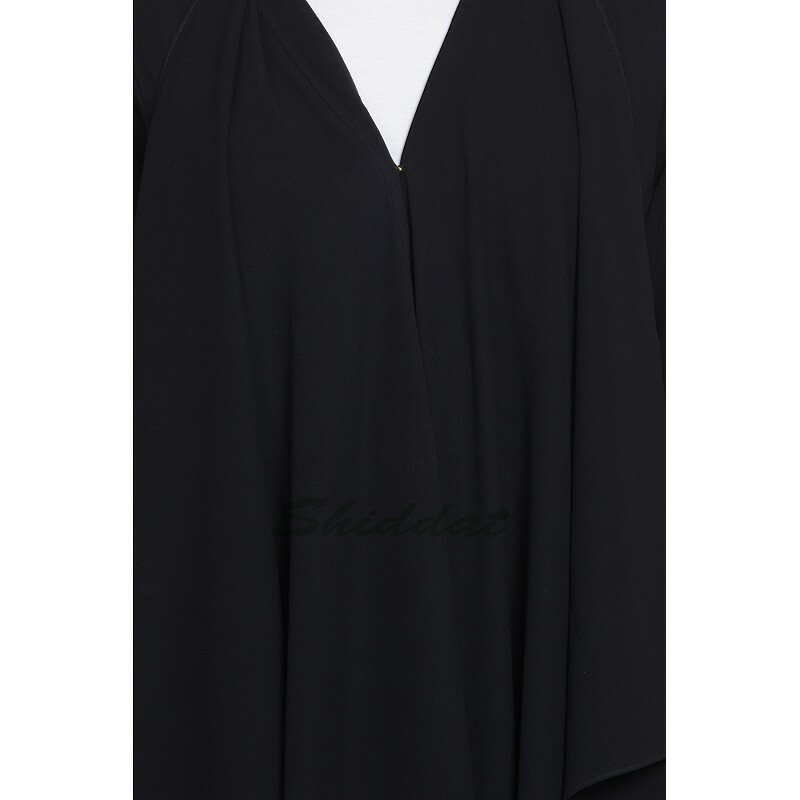 Extra Panels of fabric stitched to shoulders and falling down gives this Abaya the 'Falling Shrug' look. Perfect to use as a 'Daily-Wear' Abaya and can also be used as Dress or a Burqa if you prefer colorful ones. This article is made of Nida (Matt Finish) fabric which is very Soft, Breathable, Light Weight and easy to maintain. It gives a good fall to the garment.